Maura Lennon is living proof of the folly of rash categorisation. She is a petit woman, who looks anything but her 48 years: despite most of those years having been spent working in some of the most trying circumstances imaginable. Hers is a bubbly personality: but it masks the steely determination necessary for the selfless, sometimes hazardous career she has pursued since early adulthood. 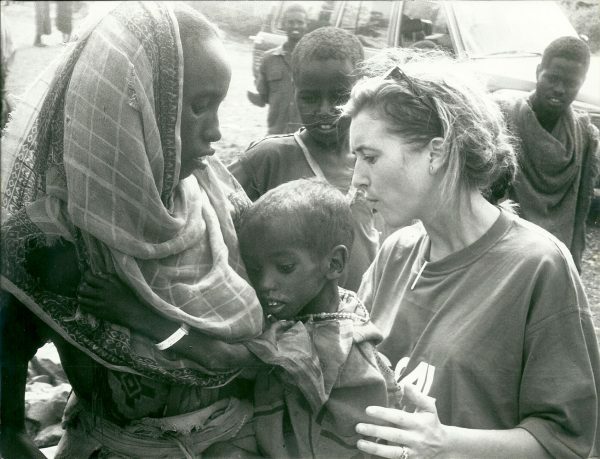 It all began in 1985, when, as a 21-year-old newly-qualified nurse, Maura joined GOAL for a six-month spell in Ethiopia, to help the victims of a catastrophic famine that cost nearly one million lives. 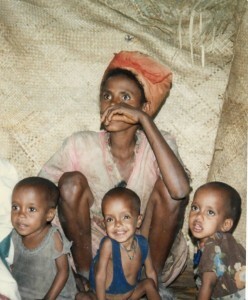 Her planned six-months stay in Ethiopia stretched to two years, broken only by a Christmas fortnight at home. And her career with GOAL has lasted for 27 years, during which time she has served in numerous countries across the developing world. Now living in Galway, Maura is the organisation’s representative for the West of Ireland. Twenty-seven years after the terrible famine, Maura Lennon returned to Ethiopia last week to visit GOAL’s programmes there, anxious to see how things have changed in the intervening years. Unfortunately, there are some things that seem destined never to change in parts of the Horn of Africa, where Ethiopia is situated. She was sometimes working on her own in remote villages for weeks at a time, with little or no means of communicating with the outside world. Mobile phones and emails were decades in the future. Back then, it could take six weeks for a letter to arrive from home. The problem with Maura Lennon is that the more you learn about her and the degree to which she has dedicated herself to the welfare of humanity, the harder it becomes to categorise her. Perhaps it’s precisely because the likes of her are so uncommon, that we use the (wholly inadequate) term “one in a million” to describe such people. It certainly doesn’t do anything like full justice to Maura and her type, but as it’s the best we can manage, I suppose it’ll have to do.